At Aeon, we believe in keeping our itineraries as flexible as possible. However, none of our tours are as flexible as our Private Paris Tour. When you book your Private Tour of Paris (for up to 6 people), you instantly become your own tour designer. If you've ever wanted to sample the countless gardens of Paris, tour her ancient Catacombs, take a guided evening stroll through the city center, or be given a private tour of the Louvre's masterpieces, our Private Tour is for you. Our guides will design a unique itinerary for you and your group catered to your individual wishes. Your guide will even meet you at your predetermined destination, usually right in front of your hotel! Some of our past tours have included visiting Paris' chicest boutiques, hiking the hills of Montmartre, and taking the train to the Palace at Versailles. Whatever your needs are, we can create a tour for you. Of course, each of our group tours can easily be tailored to your own private touring needs. To book a Private Tour with us, all you need to do is book your tour below. On your tour reservation page, we've left a space to enter in a few of the destinations or theme of your Private Tour. Once your booking is confirmed, one of our Tour Specialists will get in touch with you to help plan your unique itinerary. Available Days: Flexible - it's up to you! What can I see on my Private Paris Tour? That is completely up to you. Some of our guests choose experiences like touring the Louvre or dâ€™Orsay privately, while others choose epicurean based Private Paris Tours, such as our bakery tour or Chocolate tasting tour. How long does my Private Paris Tour last? Typically our Private Paris Tours last 4 hours. 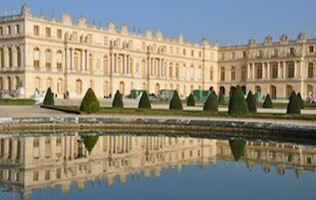 Of course, we can customize a Private Paris Tour for you and extend it if youâ€™d like to tour more of the city. How will I find my Private Paris Tour guide? Our Private Paris Tours usually meet at your hotel or apartment, or our regular meeting point in the center of the city. But of course, itâ€™s up to you! Will my Private Paris Tour guide speak English? We booked a private tour with Aeon Tours in Paris for our family. We were too late to book a front of line access tour with other companies so instead booked this one. We asked in advance if the tour guide could stand in line for us to avoid waiting and he did which was great. Miguel (our tour guide) stood in line for us for about an hour to avoid us waiting in the queues and he called us on the mobile so we could meet him fairly close to the entrance. We only had to wait about 15 minutes until the Catacombs opened that day (opening about 10.00am). Before the tour we got excellent instructions about the meeting place, and all worked well. Miguel was excellent as our guide â€“ he was very knowledgeable and informative. He also added quite a bit of humour to the tour. The Catacombs are a really interesting place to visit â€“ but not if you suffer from anxiety or claustrophobia. The tunnels are a long way below ground but there is good lighting and free flowing air so itâ€™s not too uncomfortable. Miguel shared a lot of historical information with us and obviously knows the Catacombs and their history very well. We can recommend Aeon tours for this â€“ the tour took about 1 Â½ hours. Tip â€“ wear covered shoes as it can be wet and slippery. Only 200 people are allowed in at a time, to control crowds. The entry fee is 8 euro and you purchase your ticket at the entrance. Would recommend you do a morning tour as the line was very long by the time we finished (unless you arrange front of line access). Tomas from Aeon Tours was very helpful on-line whilst I was booking this from Australia. I can thoroughly recommend them. If You Want a Passionate Tour Guide - Ask for Maxim! We had an amazing, private, 4 hour tour of Paris which included the Louvre, most of the Marais, Notre Dame, and the Eiffel Tower. Our guide, Maxim, was incredibly knowledgeable regarding art history and the city of Paris. He was passionate about his work and kept our entire group interested and engrossed during the tour. As an art and architecture lover, I appreciated his knowledge and experience about those two pieces of Paris, and would have loved more time. While 4 hours isn't enough to explore all of Paris, what we were able to see was fantastic and I would absolutely recommend Aeon tours and Maxim! This is not a cheap offer, but it's an excellent one. The difference lies in the quality: Adrien was an amazing guide and you could tell he was actually trained and not just a student trying to make a few bucks. He knew the background of every place we visited and if we ever had questions about nearby buildings or sights, or other things not included in the tour, he was always very well informed about those as well and more than happy to venture beyond the original scope of the tour. Completely disproving the stereotype about Parisians' unfriendliness, he made our 4 hours together as enjoyable as they were enlightening. Merci, mon ami! We were 6 people, so it broke down to 50 bucks a piece, which considering the quality of the show makes it one of the best values for money around. We were led around for more than 4 hours, saw every single most important sight in the center of Paris, and since there was no one else with us, we could ask as many questions or request anything we wanted. 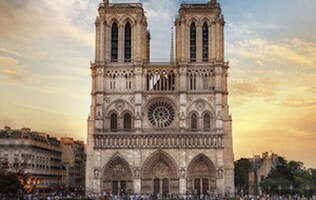 Honestly, if you're not familiar with Paris and want to get an amazing introduction, get a group together and go for this tour, you won't find something as personal and comprehensive for such a price elsewhere. A few girlfriends and I went on our annual "ladies" getaway, and this year chose Paris. We researched quite a few companies, but finally chose a private tour of Paris with Aeon. As we had a diverse bunch, we wanted to do more than simply see the Eiffel Tower and Louvre pyramid. We wanted to "see" Paris, if that makes sense. I can honestly say that Aeon, and specifically our wonderful guide Marie, were the highlight of our trip. She showed us some amazing parts of the city, and was quite knowledgeable about the current hot spots in the city.